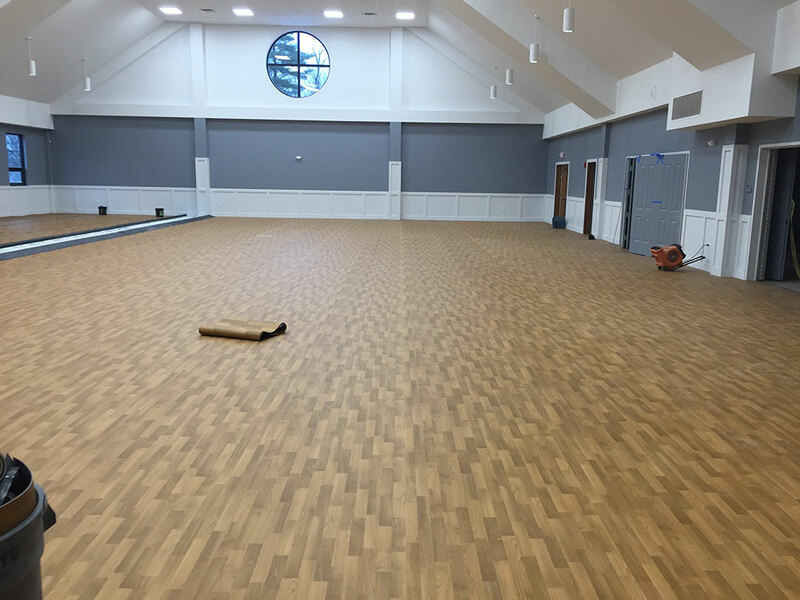 Northeast Flooring Solutions sells and installs commercial sheet vinyl flooring for industrial, institutional, and commercial space. Commercial sheet vinyl flooring is an outstanding option when an affordable seamless flooring solution is needed in institutional, commercial or industrial facilities like clean rooms, lab rooms, or clinical settings. Vinyl flooring is durable, easy to maintain, and comfortable under foot. It reduces noise. When seams are necessary to cover the area, they can be cold welded with cold weld adhesive or heat welded with a welding rod to maintain the seamless properties desired in the floor covering. Northeast Flooring Solutions carries and installs Mannington, Shaw, and Armstrong brands of sheet vinyl flooring. Homogenous sheet vinyl is made of a single layer of material giving you continuity throughout the product, allowing for even wear and a long life span when properly maintained. This feature, along with the ability to heat weld seams and make flash coving, makes it a great option for clean rooms and other high traffic areas where hygiene and infection control are important. The wide palette from natural brown, beige and gray tones to vibrant and vivid blue, red, and violet colors offer ample styling possibilities. Heterogeneous resilient sheet vinyl flooring offers pattern variations not seen in the homogenous offerings, simply due to the layering needed to give proper protection to the design. The stone tile visuals feature realistic slate, marble, limestone and travertine designs complete with grout lines. The wood plank designs mimic the warmth of natural wood and are available in different visual ‘plank widths’ to give an authentic appearance. All of this with the easy maintenance of sheet vinyl. Both homogenous and heterogenous commercial sheet vinyl offerings coordinate with other products in the respective vendors lines to help give you the feel of continuity across your finished project. Our resilient flooring experts are ready to help you select the style that’s right for you. Heat weld is good for aseptic areas like clean rooms and hospitals, but requires specific equipment, and has a cure time of about half a day before you can be on the floor. Cold weld does not require specific equipment, but requires 8 hours to dry, and being more similar to caulk is not an appropriate option for an aseptic area as it is not a permanent bond. Flash coving allows you to continue the flooring material up the walls to create a wall base. 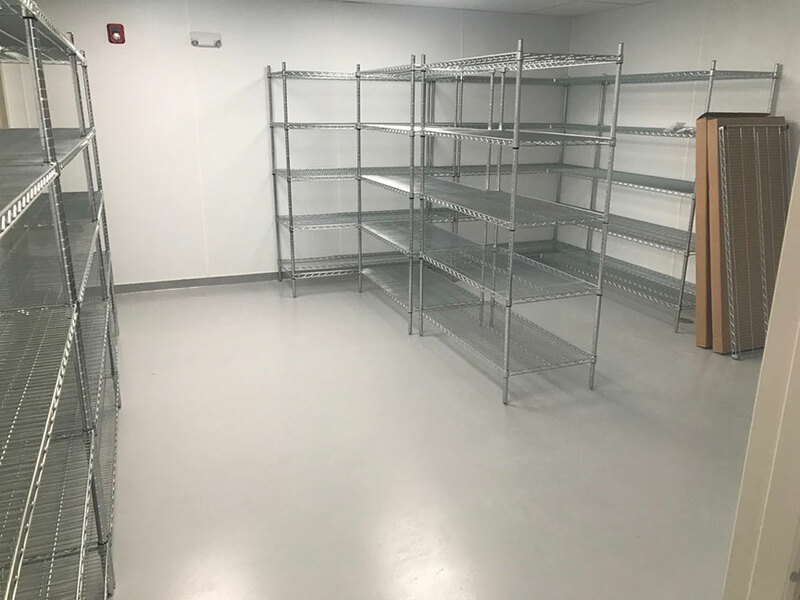 You can again use heat welding to give you a finish appropriate for any aseptic areas such as clean rooms in labs or a hospital where you really need to be sure that there are no cracks or crevices for any germs or bacteria to infiltrate and get under the flooring material. Did you know Epoxy is a superior selection in aseptic areas? It is environmentally friendly. It’s an ideal concrete coating solution that protects floors from dust, dirt, chemicals and traffic, while requiring little, if any maintenance.